Hello & Welcome to Dstreetwinners! As I once tweeted; Stock Markets are not Casinos, and Trading is not Gambling. It takes everything: hard work, discipline, blood, sweat and tears, before one learns to survive and grow here. It is a hostile and ruthless battlefield. So what brings me, and keeps me motivated daily? Read more about me….. 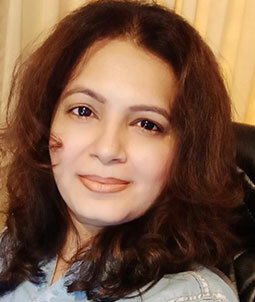 I am Rachana Vaidya, Full Time Trader. I do my own research and I trade for myself since few years. I am also into Writing. I write on Stock Markets and Trading. I graduated in engineering (B.E. Mechanical) and post graduated in Finance (M.B.A Finance). I worked in the corporate world in various companies across sectors; including names like Amul Industries, Kotak Mahindra Bank and Reliance Industries. • I have cleared Certification for Research Analyst as required under SEBI Regulation 2007. • Earlier; I had cleared certification examinations in Stock Market Operations from BSE. • And Operations Module of Depository Participants from NSE. • And Advisory Module for Intermediaries from IRDA. • Have been studying and participating in markets since 2004. • I have been fortunate to have had the opportunity of being mentored by the well-known Trader and Analyst on CNBC-TV18/CNBC AWAAZ – Mr. Ashwani Gujral. I have co-authored 3 books with him; and the details of my books can be read from “My Books” section on my website. I have also worked with him on the Technical Research and Presentation for his Technical Analysis Training n Workshop. • I have also recently started writing for the Financial Business Newspaper from the Gujarat Samachar group called as Vyaapaar Samachar-newspaper + website. And I shall even write regularly for my own blog, starting soon. I developed interest in the Stock Markets during post-graduation studies, and soon started participating in markets as an Active Investor. Ever since then; I would try my best to follow business news and stock markets every single day; by reading the business newspapers & magazines. During weekends; I would often save articles from print media, and make my own scrap book from it, to preserve the interesting matter related to markets. Later on; despite being a part of the corporate world; I would often reach my office before time; so that I can spend some time on stock studies, before the office hours begin. Despite being rated as a “Star Performer” in RIL, the desire to have my own professional set-up in area of interest, stayed at the top of my mind. I finally quit the job; I started giving complete time and attention, to stock markets. And thereafter, there was no looking back. I often share my thoughts about markets on the social media through my Face-book page, Twitter and Tumblr account; all by the same name: @Dstreetwinners. Markets can neither be predicted nor controlled; at least not by retail traders. As a trader; what best I can do is; trade the probabilities, and accept the outcome. Am I always accurate? No, I am not; neither do I need to be, nor that is possible. Do I fail? Yes I do, and I make sure to learn from it. Life’s a journey, I have come a long way, and there is a long way ahead as well. I am happy; as I go on crossing every milestone on the way. I am evolving and growing each day…& there is a lot to do ahead. I definitely didn’t come this far…..to only come, this far. 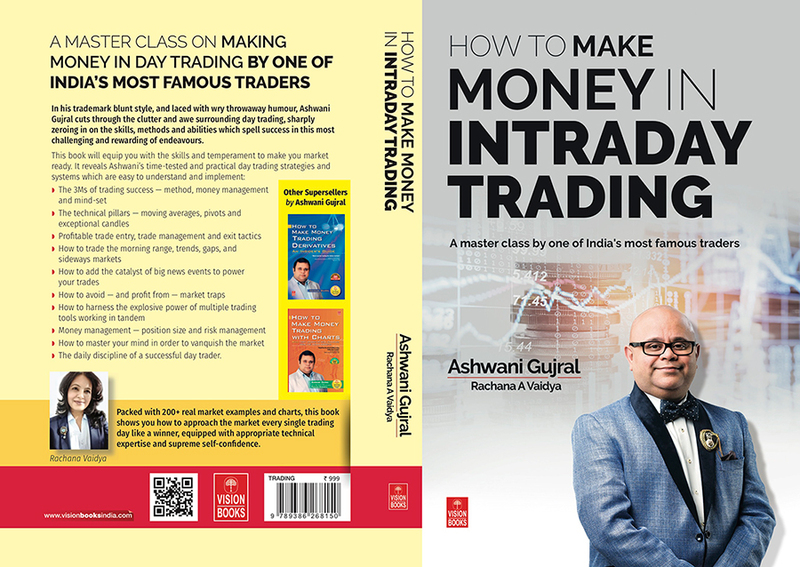 Abhi toh sara aasman baki hai"
1) I was fortunate to get an opportunity to write the book: “How to Make Money in Intraday Trading” with him. Immense amount of progress happened; in terms of learning more and more about markets and trading, as I went on writing all the 14 chapters, under his able guidance. And thus bringing to you all; his strategies and his experience; in my words/ expressions, story-telling abilities and my market understanding/exposure. He had a very clear vision on how he wanted the book to pan out. He would not just teach me before I write; but would also ensure that I back-test each method; in order to ensure a smooth flow in my writing-which must exude both: conviction and confidence, coming from real market experience. The book has been in the Top Sellers List on Amazon including being at Rank 1. And has been positively reviewed and recommended by CNBC AWAAZ as well. The readers too have been giving strongly positive review on the social media; about both; the writing style and the theory. 2)	I also got an opportunity to add a New Chapter in the latest edition of his earlier book: How to Make Money Trading with Charts. I wrote the Railway Line Chapter for that book; which happens to be the highlight of the latest edition. This book too; has been in the top sellers list on Amazon. 3)	The third book shall be released soon; and I shall add details of it, once it releases. D-StreetWinners © Copyright 2018-2021. All rights reserved.